Choice Wireless® is our retail product in the United States. Choice Wireless offers top quality cell phone services to consumers in rural America providing affordable, low cost alternatives. Choice Wireless also offers affordable, dependable, high-speed Internet service to residents within our footprint in New Mexico. 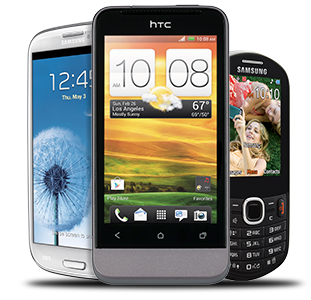 Monthly and Pay As You Go cell phone plans are simple and straightforward. All monthly plans offer unlimited local minutes and allow you to upgrade to unlimited long distance, unlimited MMS, unlimited WAP and give our customers the ability to use their phones across the US. Choice Wireless does not require credit checks or contracts, and there are no surprises on monthly bills. Choice Wireless provides a high level of service and is dedicated to creating a positive consumer experience. Through Lifeline and Tribal Lifeline, a Federal Government program, Choice Wireless helps low-income consumers establish and maintain phone service by lowering the cost of basic, monthly local service. Choice Wireless is an approved ETC provider offering free handsets and a minimum of 100 minutes a month to qualified Lifeline candidates (eligibility criteria varies by state, see website for details). 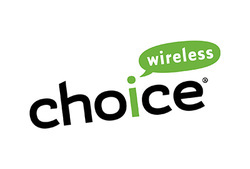 Choice Wireless® is our retail product in the United States. Choice Wireless offers top quality cell phone services to consumers in rural America providing affordable, low cost alternatives. Choice Wireless also offers affordable, dependable, high-speed Internet service to residents within our footprint in New Mexico and Nevada. ​Your Choice for rural high-speed internet, Choice Splash brings wireless connectivity to homes and small businesses in rural areas in the western United States. Services are reliable and available at a price that is sure to make a Splash. With flexible contracts, worry free commitments, and professional setup, Choice Splash is the obvious Choice for wireless broadband internet. Prepaid Wireless Hotspots with Unlimited Data for areas covering Black Rock Desert in Nevada. Plans are available as temporary services tailored to the specific duration of events on the desert. Burners on the Playa traveling from other countries as well as domestic customers with a high demand for data during their stay at BRC are the primary focus of this service.